Having the oldest distillery and being the mushroom capital of India, Solan is well known for its fine weather conditions and is enclosed by three main water bodies, Ghagar, Satluj and Yamuna. 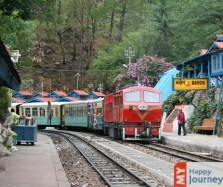 Situated within the Northern Latitude and Eastern Longitude, the town of Solan is surrounded by Shimla and Chandigarh. The region has sub temperate kind of weather, thus making the place an idyllic destination intended for tourism all round the year. Summers in Solan are warm and bright, as sunrays warm the region all throughout March till May end. During this time the town invites maximum visitors to enjoy its panoramic beauty and outdoor activities at their prime, which might not be available during monsoon season due to heavy downpour. The picturesque views of the town drenched in rain make it favorable for tourism, especially for nature enthusiasts. However, the winters at Solan are the most beautiful accompanied with snowfall at higher altitude and perfect for spending your vacation with friends and family. Winters –December –February – winters are cold and chilly as temperature drops down to 0°C and even below that; however the weather is pleasing and perfect for honeymoon trip. Make sure you wear warm woolens in this month. Summers – March – May –summers here begin to hit the town in the month of March. Days are pleasant and warm and perfect for holidaying and taking up outdoor activities at Solan. Monsoon –June– September– monsoon showers from June till September end drench the entire city but the scenic beauty of this place lures the tourists to plan a visit to Solan. Very cold Solan in this month has cold and chilly kind of weather, accompanied with cool breeze that blows from Himalayan expanses. January brings with it infrequent snowfall, that makes the place a perfect tourism destination. Couples on honeymoon can enjoy spending time in the pleasant environ of Solan as the place turns out to be very eye-catching and beautiful. Very cold February has cold, blustery weather making the overall climatic conditions very chilly. In this month you can witness a dip down in mercury but temperature stays within comfortable zone. 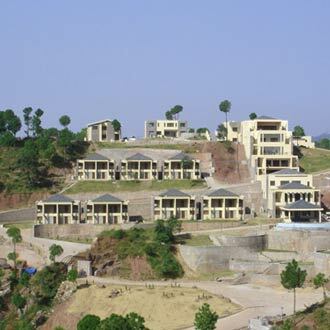 This month invites tourists to Solan for enjoying its serene beauty and pleasant weather conditions. Along with this, you can enjoy the winter carnival that is celebrated here in full swing. Pleasant March is among the most beautiful months as it is the spring season, which brings in the most suitable and romantic weather conditions that are perfect for tourism in Solan. Days are pleasant with clear blue skies accompanied with bright sunrays, whereas nights tend to be cool. This period is perfect for enjoying a family vacation and planning honeymoon trips. Moderately Hot With this month summers begin to hit the town thus ensuring a very pleasant kind of weather during March. Days are bright with ample sunrays warming up the region and lush greenery makes this place more inviting. Tourists can head out for sightseeing, as this serene hilly destination has abundant exquisiteness and offers a great opportunity to enjoy adventure sports, including trekking and paragliding. Moderately Hot This month has moderately hot climatic conditions. Temperature begins to increase thus bringing in more exciting activities, like camping, bird watching and trekking. Nights here can be cold due to the cool winds that blow in from the snow covered Himalayan hills, thus make sure you wear light woolens to stay warm. Those who wish to enjoy snow can go at higher elevations. Pleasant Across this month the hot sunrays warm up the weather, thus making the days as well as nights soothing and ideal for tourism. Tourists can plan visiting the attractions of the town, like parks and museum. Walking on the mall road one can enjoy shopping for woolen stuff, local handicrafts and paintings. By the end of this month, you can witness monsoon offering sporadic downpour. Pleasant July brings in moderate to heavy showers. Days and nights tend to be mildly cold as temperature begins to drop down. For tourists who enjoy rainy weather these showers enhance the scenic beauty of the place and the whole town looks picture perfect. 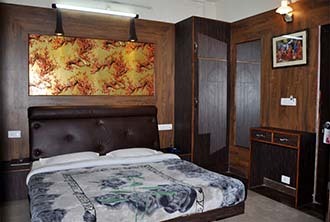 As the town is not much crowded, the rates of hotels and tour packages are lowered, offering a good opportunity for those who wish to enjoy holidaying at Solan in this month. Rainy During this month the monsoon rains keep lashing the region, thus making August the wettest month. Though this rainfall is not of much hindrance while travelling but make sure you carry your rain gears to stay safe. The sky remains covered with black clouds during most part of this month, but the tranquil view of this hill station delights the tourists the most. Pleasant September is the month when monsoons begin to fade away. However, the cool breeze from South West torrential rains makes the temperature quite cold, thus wearing light woolens is suggested in this season. Tourists can enjoy the utmost beauty of this place along with its pristine hills and lush greenery that is worth watching during this season. Pleasant This month is tagged as the peak month for tourists with pleasant and comfortable weather conditions. Days are warm and fresh, as the vivid sunrays add a charm to its beauty and make the outdoor activities more inviting and enjoyable. 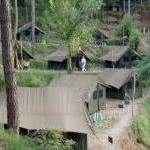 Tourists who wish to plan a visit in this month can check out different Solan tour deals to enjoy a reasonably priced tour. Moderately cold Weather in this month tends to remain cool as the temperature begins to drop down. But it is within comfortable zone as the warm sunrays balance the climatic conditions. Thus this season is perfect for holidaying at Solan. 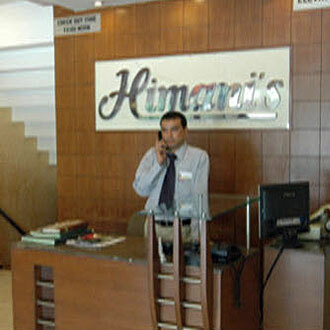 As this region witnesses huge influx of tourists during this season, so make sure you opt for prior bookings at hotels. Very cold December is the most preferred month in terms of tourism at Solan. Days are chilly accompanied with cool breeze, which is perfect for tourists and couples on honeymoon. This month brings with it the celebrations of Christmas and New Year, thus making the entire town glitter with festivity all around and making this time perfect for tourist activities.